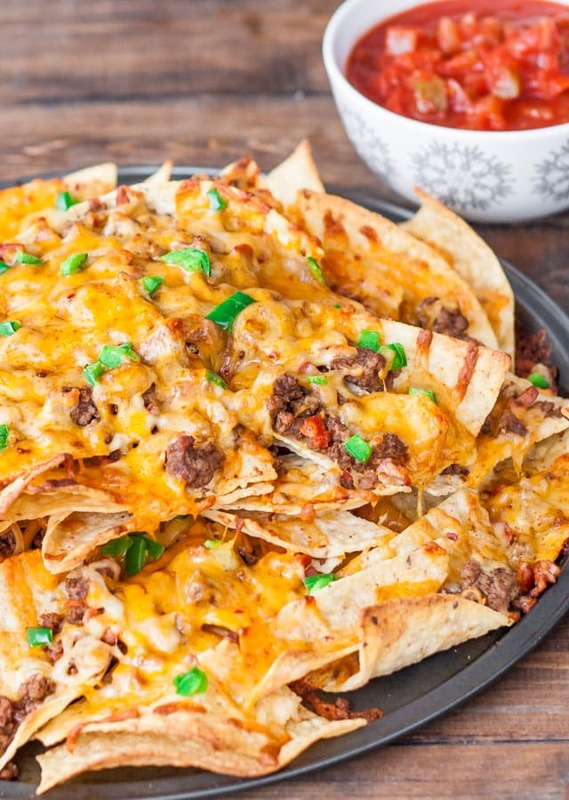 Beef and cheese Nachos with Chorizo sausage – cheesy, meaty, yummy! The perfect snack for a Super Bowl Sunday party. So when my husband says he’s in the mood for nachos, well I am more than happy to make them. For these nachos I used some chorizo sausage for some extra flavor. I chopped up the chorizo sausage into small pieces and in a hot skillet I added the beef and cooked it until it was no longer pink. Add the cumin, chili powder and salt and mix. Next add the minced garlic and chorizo sausage and cook for another 5 minutes. Now I chose to use a pizza tray for this but you can use any oven safe dish you want. So next we need to add a layer of nachos then a layer of the beef and chorizo sausage. Top with cheese and jalapenos. I decided to use a southwest shredded cheese for this which is a blend of cheddar, mozzarella and monterey jack cheese seasoned with chipotle and chili peppers. This to me is the perfect cheese for nachos. 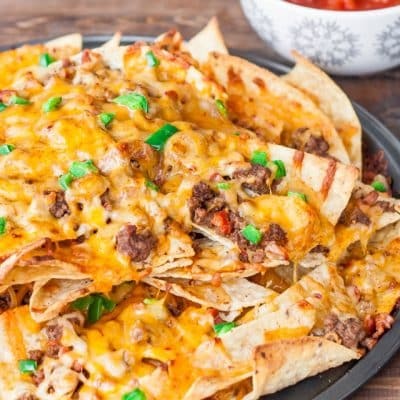 Add another layer of nachos, followed by another layer of beef and chorizo sausage and topped with cheese and jalapenos. Now the beauty of nachos is that you can top them with whatever you want, you can add tomatoes, olives, onions, peppers, etc. Whatever you’re in the mood for. 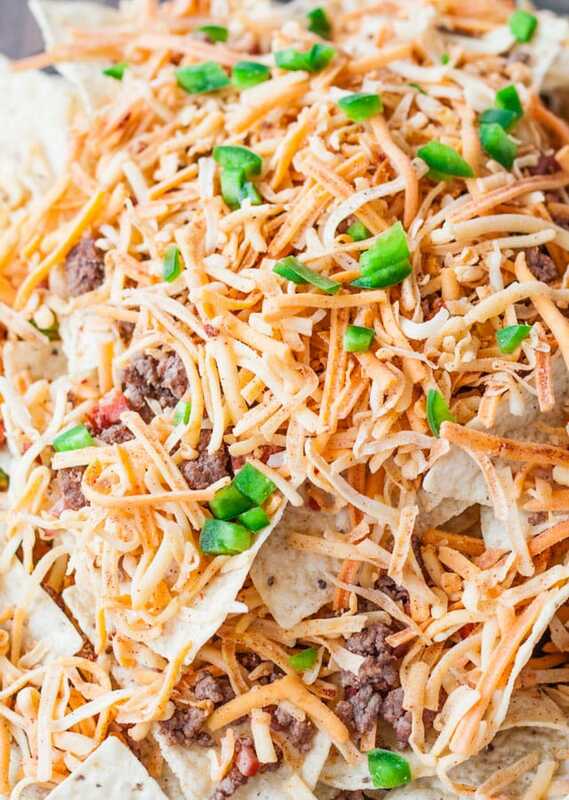 Bake these nachos in a preheated oven at 500 F degrees for about 5 to 10 minutes or until the cheese has melted nicely. 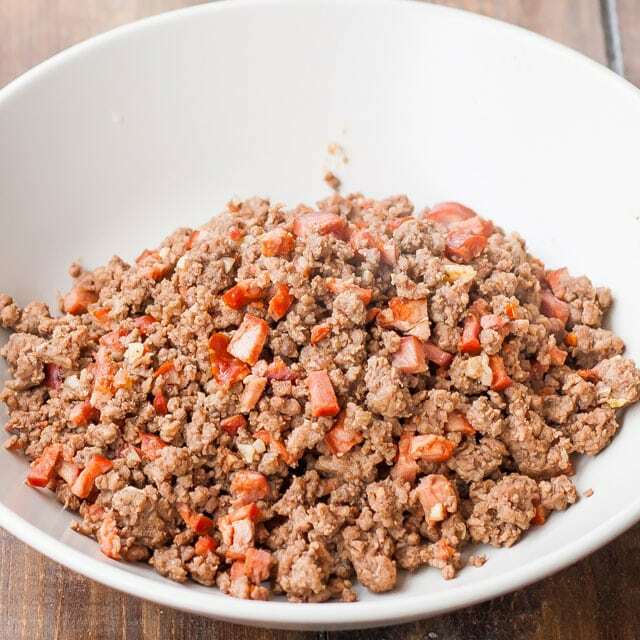 In a large skillet cook the ground beef until it's no longer pink. Add cumin, chili powder, salt and mix. Add garlic and chorizo sausage and cook for another 5 minutes. On a pizza tray start with a layer of nachos. Top with half the meat mixture and top 1 cup of cheese and half the jalapeno pepper. Repeat with another layer of nachos, meat, cheese and jalapenos. Bake for 5 to 10 minutes or until the cheese has melted. Might have to tote these over to the Super Bowl party on Sunday! They look delicious! Thank you, the nachos were gone really fast. 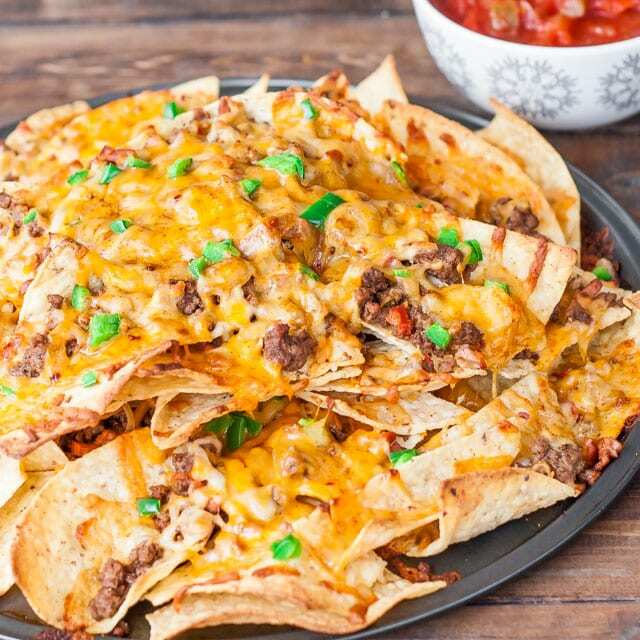 Nachos is practically a staple food for celebrating, relaxing and having a good time. Movie marathons, game nights, i-am-lazy-but-i-want-something-delicious nights, and the list goes on and on. Homemade nachos is always a winner. Great post you have here. Thanks!